The tragedy of a stolen mockingbird saddens me. I recently read about Harper Lee. Most everyone knows that Harper Lee wrote a book called “To Kill a Mockingbird” half a century ago. A Pulitzer Prize winner, the classic has been one most of us have read more than once, and seen the movie. It was successful fifty years ago, and is still required reading. Royalties for books sold in 2009 were over a million and a half dollars. Ms. Lee lived modestly over the years. She suffered a stroke a few years ago. Her rights were signed away during a time when she was experiencing a multitude of problems – vision and short-term memory among them. By the time she recently turned 87, what royalties she received had been depleted. A law suit was filed in May. Charges were that her literary agent, an attorney, took advantage of the ailing Ms. Lee. The benchmark story was written by Mark Seal, and appears in the August issue of Vanity Fair. It is titled, “To Steal a Mockingbird” and explains the legal charges against the agent, as well as updated information. Over the years numerous writers have been victimized by unscrupulous agents, publishers, and lawyers. Funds have been siphoned away from many of our literary giants. Such a sad commentary that the aging author of a masterpiece was treated unfairly. Throughout the ages agents and publishers have encouraged and protected the struggling writer, and the treasury of literature. Diligently the agent presents the work to publishers. They try to find a home for a manuscript. Publishers produce books, and are champions of the writer. They work tirelessly to make the best possible product for the reader. Mostly, both agent and publisher make herculean efforts on behalf of the continuation of fine literature. I commend honorable, ethical agents and publisher – and thank them. They are often the unsung and under-appreciated heroes. They understand trust is a very elusive quality, and when in place, there is an eloquence between two people who love the written word. I think I’ll reread Ms. Lee’s gift. And be thankful for those honorable folks in the field of publishing. These are people we trust to tend our words. Please check out my romantic fiction, Appointment with a Smile, the 2013 Lambda Finalist in the Romance Category, by Kieran York. A new book is scheduled for release in the summer of 2013, titled, Careful Flowers. Books are available through www.bluefeatherbooks.com. Or order books and Kindle e-books available through Amazon. The etiquette of morning exists within tame hearts. Luminosity’s candor is the fresh smell of daybreak. We are inspired by the gentle waking of earth. As each roll of our orb shrugs us to light, we begin. From synthetic dreams, we languish with contentment. Trees, grasses, and flowers have a debonair strut as they grow. Midmorning’s hesitancy bring new exhilaration. It isn’t over, the graciousness of morning. Unfiltered sunbeams have time before midday’s arrival. Even clouds give a diaphanous glow. Mosses and lichens are encrusted upon staunch granite. We have neared them as we walk. Sprouting sprigs of blooming twiggy plants brush our legs. Feathery leaves, with gentle touches, protrude. Tufted petals open to swallow down sunlight. They fail to recognize that they are life’s inducements. Other breathing species crouch, and sprawl. Etiquette requires concern for others. Romance is our greatest reason. It is so like the gentleness of daybreak. What is our private elegy of a day? Are we here to take the pulse of meteors and magic? We are humanity, and believe ourselves life’s linchpin. Existence idles its way to become Homo sapiens adrift. Our minds empower us with capability. Nudged by kindred concern, we attempt to please one another. Yet we require stop-signs and fences. Trapped by earth’s gravity, be banish one another. But also, we covet the humanness we share. Our mission – could it be learning the world? Understanding our bounty, as well as our hazards? Or living with the vicious nature of an earth searching mischief? Our planet’s divine and disheveled moments are everywhere. There are magnificent plundering experiments – yet we remain. Our inscription is a riddle of antique messages. Time has welded many clues within earth’s crusty quarry. Nature has been compressed by carved ditches, and sprawling waters. Outside our periphery are whirling gigantic marbles. Within our own is a strident exchange of arctic blasts and blistering lava. There is a mystical research of nature long ago sealed away. Life’s residue reminds us of our value. Nudged from rock and soil, we migrate. We learn our world and ourselves – if we are fortunate. We come to know another heart – if we are blessed. Our elegy is the day we spend here together. 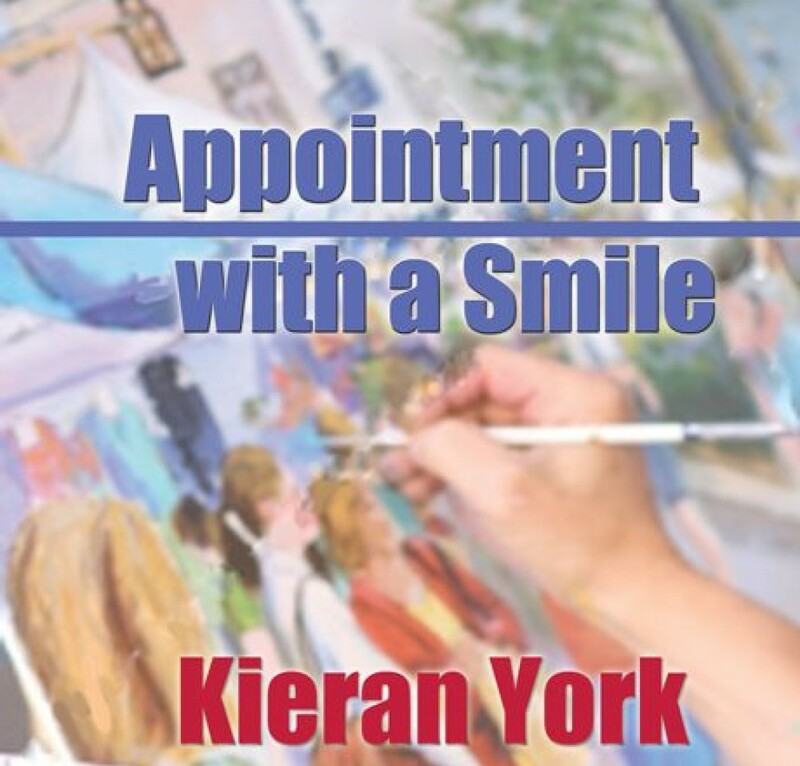 If you are interested in romantic fiction, please check out the 2013 Lambda Finalist in the Romance category, Appointment with a Smile by Kieran York. Books are available through www.bluefeatherbooks.com. Or order through Bella Books Distribution for books or e-books. Books and Kindle e-books are also available through Amazon. My latest book, Careful Flowers is scheduled for release mid-Summer.